Well, a lot has been going on over here. I've been prepping for our gender reveal party (which is a week from this Saturday!) while the man cave and guest rooms in our home have been getting some makeovers. The guest room and nursery are getting crown molding installed (we had it in our room and the dining room but not the three guest rooms for some reason), and the man cave is also getting board and batten where the bamboo used to be. Bamboo, you say? Let me remind you of how beautiful this room used to be. 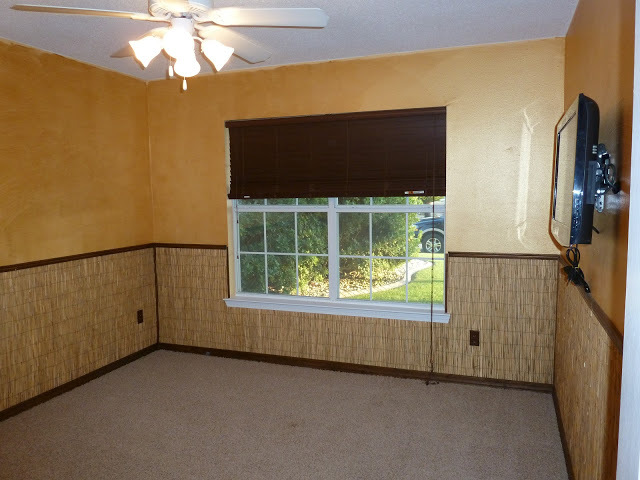 Metallic gold paint up top and sheets of bamboo on the bottom. Just not for me. I dreamed of a cozy and clean space that would be manly and classic... and a place for Jon to put all of his currently boxed up military memorabilia. 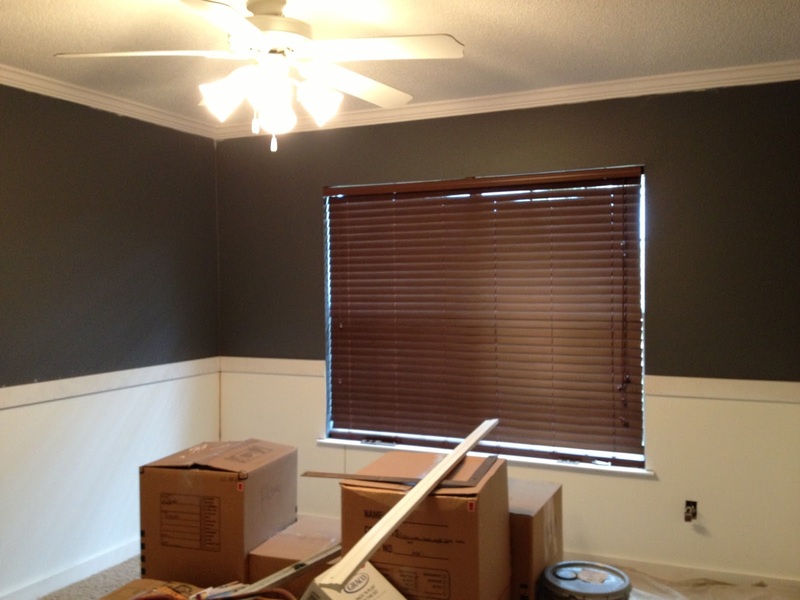 Charcoal Slate paint from Benjamin Moore was just what I envisioned, and the white board and batten that will run along the bottom will add some architecture while keeping the room from being too dark. Here's a progress shot. It's already a world of a difference from where we started, and it should be complete by Friday! Ahhh...there's nothing like a newly transformed space! Here's one more side by side for comparison. I'll post an "after" shot once we get it all in order.